"Yeh Sheher Nahin Mehfil hai"
"Delhiwallahas would rather die than live in any other city in the world." 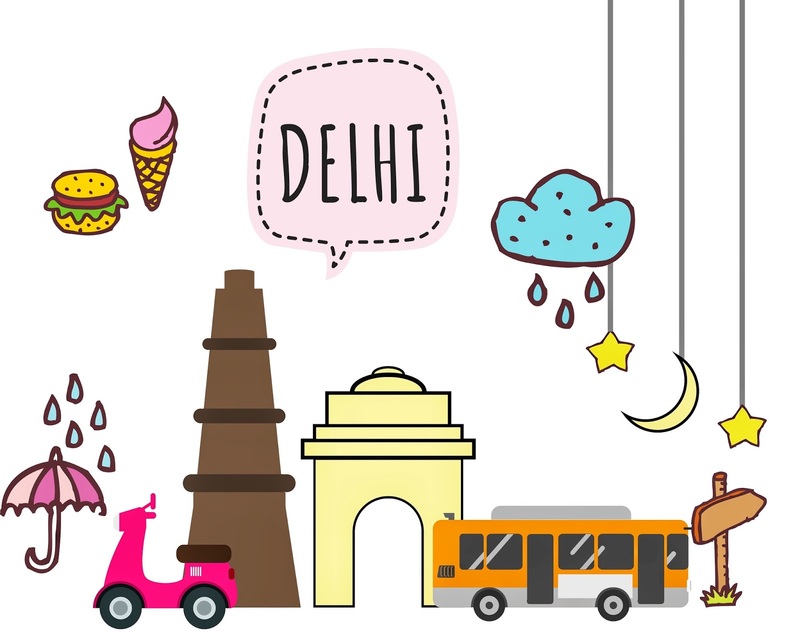 Delhi-ites are not only charming but also have a heart of gold, that's the reason why many Delhi based startups are rising day by day with unique ideas to promote growth of the country and make positive changes in the society. With social goodness added into the realms of technology, these startups truly deserve recognition and appreciation. Let's lay our focus towards few such start-ups that have taken positive efforts and initiatives towards making Delhi a better place to live. Pom pom is a Delhi-based waste management startup founded by Deepak Sethi and Kishor K Thakur, that helps people in disposing off recyclable waste as a contribution to Swachh Bharat Abhiyan. All the recyclables go to a segregation facility where they are sorted and segregated according to their type and then sent for recycling to keep the environment clean and save resources. It also provides quick payment at the best possible price for your unwanted recyclable waste as per its weight and type. It has already started operations in South Delhi. One can make bookings or schedule pickups via their website or by giving a call at +918881766766. They also have a Mobile app for Android and iOS. The Government of India has always seeked conservation of energy and promotes energy efficiency as it reduces financial costs and also controls the problem of greenhouse gas emissions. One of the most effective solutions to this challenge is a Delhi-based energy efficiency startup, Smart Joules that makes saving energy smart and easy. Its products provide cost effective facilities to reduce energy consumption and thereby saving energy. "The amount of energy we are able to save in one hospital, say Sant Parmanand Hospital, is what 500 houses will consume in one year. This is what drives us to do this work", says Arjun P. Gupta, CEO at Smart Joules. Delhi has always been invaded by the tyrants of Air pollution causing various air borne diseases and premature deaths. Chakr Innovation is a team of skilled engineers and innovators from IIT Delhi who believe in fighting against such threats caused by pollution and protecting people's well being. They develop sustainable solutions to benefit and protect the environment. Their unique invention "Chakr Shield" is one such device that converts the harmful and carcinogenic emissions from the engines and diesel generators into harmless and useful substances that can be used as a raw material for making inks and paints. The "Chakr" word has originated from it's Hindi meaning circle, signifying the closing of the loop of particulate matter and purifying the quality of air for the people to breathe. Nurturing Green is one such pioneer in the arena of pollution that has brought a brilliant concept of "Green Gifting". They promote the idea of gifting live plants rather than bouquets which are already uprooted flowers that are meant to die in a week or so. They bring humans closer to greenery by selling exotic and unique plants for home decor, landscaping, green gifting and air purifying. Their quality plants come in attractive pots made of ceramic, jute or fiber adding value to the appeal of plants. In 2010, Hindustan Times mentioned Nurturing green among one of the top 50 enterprises who have brought effective climatic change ideas. Another startup by IIT Delhi alumni that promotes people to leave their cars at home is the Shuttl App which consequently contributes in controlling the traffic problems of Delhi. "In India, if you see, solutions for (the) daily commute are either overpriced or overcrowded. Passengers simply want to go to office without the stress and quite comfortably. What we are trying to do is offer a comfortable seat for a journey, for which the passengers won’t need to take their own vehicles,” says Amit Singh, co-founder of Shuttl. The company has 450 air-conditioned buses that travel along 75 routes connecting areas across Delhi and offers around 300 pick-up points. Many personal cab booking apps offer rides at very high rates whereas Shuttle App offers you a seat in fully air conditioned bus that is booked via their App and costs between just Rs 50-80 depending on the undertaken route. Where we see all these startups venturing into the era of positive changes, some established companies like Vodafone are also very diligent towards serving the country for social good. They have recently come up with some pretty overwhelming initiatives exclusively for Delhi-ites. As we all know that the Supreme Court had lately banned the sale of firecrackers during Diwali to control the level of air pollution in Delhi NCR. Subsequently, Vodafone took a promising move towards inspiring people to celebrate Green Diwali from now onwards by selling their special "Super Crackers" during the Diwali week. These super crackers contained seeds of plants that could be sown as a token of new beginnings of Diwali celebration. This initiative was taken at 52 Vodafone stores across Delhi NCR spreading smiles and positive energies among the Delhi-ites. Another, applaudable and super initiative taken by Vodafone is the empowerment of start ups by providing them with the complimentary resources of Vodafone to help them grow and flourish as a strongly held company. Thus serving as a God Father to small start ups, Vodafone continues to be the flag bearer of good will. Not only this, Vodafone has also launched Delhi NCR's first air-purifying and Wi-Fi enabled bus shelters to facilitate all the people who wait for their buses everyday at the bus stop. The Wi-Fi facilty at the bus shelter is not just for Vodafone customers but for every person and can be availed up-to 20 minutes which is a great deal. Last but not the least initiative taken by Vodafone in Delhi is the introduction of free Wi-Fi zones which are allocated at more than 120 famous places in Delhi NCR where Vodafone customers can enjoy the open Wi-Fi facility at no cost. There's no doubt that Vodafone has always been a favorite of many that is why up-to 1.2 crore people of Delhi NCR rely on Vodafone solutions which makes up almost 50% of the population of the city. 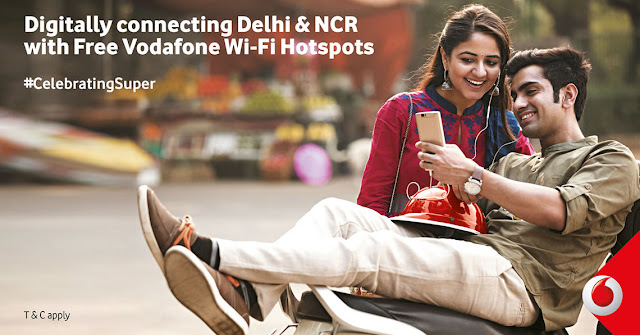 To know more about what great deals and facilities Vodafone has to offer to Delhi-ites, do visit https://www.vodafone.in/home-delhi.